DJSmallz.com catches up with Big Boi, one half of the legendary Outkast, at Stankonia Studios to grab some advice for Hip Hop's next class of future superstars. Look out for his new album "Sir Luscious Left Foot: The Son Of Chico Dusty" due out July 6. Big Boi's Advice For The Next Generation of Hip Hop from DJ Smallz on Vimeo. On top of the Panacea pandemic spreading with the release of 12 Step Program, i am also gearing up to do some heavy promoting this summer for my album with Arizona emcee (by way of Philly) Random. Our project, Forever Famicom, is done and the double-single we released top of this week has been getting some buzz around the internet. The website Nerdy Rotten Scoundrels is currently running a promotion that will land 1 lucky winner a copy of the soon-to-be released album, by naming ALL the songs Ran mentions in the track "Epoch". Check NRS for all the details & while you're racking your brain for the answers... peep this video of Ran performing the other half of the double-single, "Dream Master", LIVE the night of Cinco de Mayo! Yukmouth Proclaims, "Free At Last!" May 07th, 2010 -- Veteran Grammy nominated rapper, Yukmouth, returns with his highly anticipated, sixth solo collection, Free At Last. Fueled by the set's warm-up single, "211," featuring Chi-Town's L.E.P./Bogus Boys, Free At Last is Yuk at his absolute finest. The album, and follow-up to last year's star-studded The West Coast Don, is currently scheduled for June 1st 2010. Free At Last contains a stellar line-up of Hip-Hop heavyweights; including, Messy Marv, Choppa Young City, Mistah F.A.B., 2Eleven, Roccett, Curren$y, Dru Down, Lee Majors, Richie Rich, Beeda Weeda, Agerman, Shady Nate, Kafani, C-Bo, Stevie Joe, Philthy Rich, Chop Black, Country Black, G Stack, Lucci, Lil Hyfe, as well as The Regime. Standout tracks are plentiful, most notably, the Jannine V assisted "The Hard Way," "Smell It On Me," with Young Money's Gudda Gudda, Tity Boi from Playaz Circle & D-Gloder, and the just released "official" lead offering, "The Life," a bangin' collabo with Ya Boy, Jay Rock & vocalist London, which should be taking over all internet, radio, and video outlets any moment now. Yukmouth, nee' Jerold Dwight Ellis III, literally burst onto the music scene as one-half of the platinum-plus, Bay Area rap duo Luniz. The group is most famously known for their popular marijuana anthem, "I Got 5 on It," which samples the Club Nouveau classic, "Why You Treat Me So Bad," and appears on their platinum-plus, '95 debut, Operation Stackola. 1998 saw the release of the Oakland, California, pair's sophomore effort, Lunitik Muzik, which spawned the Raphael Saadiq assisted "Jus Mee & U," and "Hypnotize," a fiery duet with Redman. Shortly thereafter, Yuk split from his, then, partner-in-rhyme, Numskull, taking his Smoke-A-Lot imprint down south to J Prince's Rap-A-Lot Empire. Thugged Out: The Albulation, a, then, ground-breaking double CD, was the self-proclaimed "Worldwide Mobb Figga's" first solo outing, selling over 500,000 units, and garnering favorable reviews from fans and critics alike. Ruthless Records’ Stevie Stone was admitted into the hospital in Columbia, MO this week with a severe throat infection that has caused the rapper to be forced to cancel several upcoming tour dates. After being out on tour in the Midwest, both headlining his own shows and opening for Tech N9ne, Stevie fell very ill. Stevie was touring in support of his current album release, “New Kid Comin’” on Ruthless Records. His new video for “Midwest Explosion” featuring Tech N9ne is out now and receiving exciting attention. We hope to see Stevie Stone fully recovered very soon! Thus far, the following tour dates will be postponed until later this year as Stevie Stone will have surgery in May. Video: Baron Von Alias & MistaBreeze - "The Devils Rejects"
The biggest and most notorious underground rock and hip-hop festival, Strange Noize, has returned as 2010’s hottest summer ticket. This year’s festival will feature (Hed)p.e, along with Strange Music's Kutt Calhoun, Big B, Johnny Richter of the Kottonmouth Kings and Slaine of La Coka Nostra. "I feel very privileged and it's an honor to be hitting the road with all of these amazing artists,” added Kutt Calhoun. “It's a wonderful opportunity for me to be able to get my music out to these fans and represent Strange Music alongside all of the great artists from Sub Noize." The Strange Noize music festival debuted in 2007 and quickly became one of the summer’s hottest tickets. The tour united two of America's biggest independent record labels - Suburban Noize and Strange Music - for one summer music festival that sold out over 40 dates across the country. The tour was a powerful message to the music industry that underground music could infiltrate the masses on a large scale and could no longer be ignored. (Hed)p.e's latest studio album, “New World Orphans”, has sent tremors through the underground and led to tours with Tech N9ne, Insane Clown Posse, and theatrical metal outfit Mushroomhead. The group is preparing for the release of "Major Pain 2 Indee Freedom - The Best of (Hed)p.e", a career-spanning collection of the classic songs, that have made the group an underground force for over 13 years. The album, which lands in stores on June 22nd, includes a DVD that captures the band’s legendary live show in surround sound, along with their music videos and never before seen behind-the-scenes footage. Kutt Calhoun positions himself front and center with his newest release, “Raw And Un-Kutt”. As the follow up to his 2008 release “Feature Presentation”, Kutt brings his straight-forward, street-conscious sound to the table with “Raw And Un-Kutt”, yet still maintains his girl-crazy, party sensibilities. Kutt Calhoun, longtime labelmate of Tech N9ne, brings you an album that is truly Kutt - with a flow that's both rhythmic and melodic, while grabbing listeners by the ears and pulling them into his world. With tracks like "Naked (Boom Boom Room)", "Get Kutt", "Redemption", "Hey Hey Hey (Raw And Un-Kutt) and "Flip Cam", along with guest apperances from Tech N9ne, Brotha Lynch Hung, Joe Budden, E-40, Too Short and more, “Raw And Un-Kutt” will definitely be an album to keep in constant rotation. Big B has just finished recording his fifth studio album, “Good Times & Bad Advice", with producer Jim Perkins (Dumbluck, OPM). The album is the next step in Big B’s growing musical evolution as he mixes elements of rock and hip-hop, along with his trademark laid-back acoustics, to create a sound that embodies his feel-good lifestyle. The album is slated to feature guest appearances by Everlast, Pepper, Unwritten Law's Scott Russo, Glasses Malone and Cisco Adler. As co-emcee of one of the underground’s hottest groups for the past decade, the Kottonmouth Kings Johnny Richter is ready to steal the spotlight with the release of his first ever solo album, "Laughing", on July 6th. The album is an audio autobiography for one the most captivating rappers in the underground and blurs the lines between hip-hop and rock. La Coka Nostra frontman Slaine has been grinding his way throughout the underground hip-hop since 2001 when he cutting a demo in a studio operated by the Lordz of Brooklyn. Since then Slaine has been traveling the world performing for his growing fan base, and working with hip-hop icons such as DJ Premier, House of Pain, Cypress Hill, and The Alchemist. Slaine is currently touring in support of, "A Brand You Can Trust", the debut album from hip-hop supergroup La Coka Nostra. (May 6, 2010 - Los Angeles, CA) Grammy Award winners David Banner and 9th Wonder, two of hip-hop's heavyweights, are teaming up for the collaborative album Death of a Pop Star slated to be released this summer on Big Face Entertainment. Serving as the artists' first collaborative work together, Death Of A Pop Star offers fans of both David Banner and 9th Wonder a fresh and unique perspective on the music industry. 9th Wonder has a history of teaming with legendary emcees and crafting dream projects that have resulted in both critical and commercial success. With top-selling hit maker David Banner at his side, it's obvious that the respected producer's winning streak isn't slowing down. David Banner's most recent successes include writing, producing, and arranging (with guidance from Jimmy Smith and The G Team at Chalt Day) the new non-hip hop Gatorade theme song "Evolve," performed by Kermit Quinn. To some, pairing with Banner, who is also a celebrated producer in his own right, having produced smash hits like T.I. 's "Rubberband Man," might seem like an odd thing for 9th Wonder to do but this project was a wholly mutual vision between both artists. The duo's driving creative force for the album stems from shared feelings about the state of the music industry and the de-valuing of music. Concerned that listener's today exist in a world where style wins over substance to the detriment of both the music industry, and the arts, the pair decided to take action. "We first were going to make it a free mixtape release, but then we realized it was bigger than that," explains Banner on their intentions. The duo set out to create a set that would help bring the focus back to music; not image. While their project began in earnest with their eye on the state of hip-hop, a mutual respect for each other's artistry helped drive the partnership. "9th Wonder is probably one of the most soulful cats in our generation," says Banner, praising the North Carolina producer know for his work with Little Brother, Jay-Z, Beyonce, and more. "Death Of A Pop Star is needed for a balance in the music landscape right now, just like 2 Live Crew and A Tribe Called Quest were once needed at the same time." 9th Wonder adds, "David Banner and I both share the same views on topics such as manhood, being black in America in present day, and the state of black music in general. David and I hash out a lot of options before we actually do a song. Once we get past all the options, the end result is always clear." For fans looking toward the summer release, this David Banner and 9th Wonder collaboration may serve as only a beginning, rather than the pinnacle, for the Death Of A Pop Star concept. Visualized as an ongoing concept, the duo is keeping their options open. Satiating fans, Banner says, "Who knows what concept Death Of A Pop Star may be in the future, next year it might be Lil Wayne and Pete Rock. 9th Wonder and I would still oversee it, but we don't know what it's gonna be." He continues, "This concept is bigger than hip-hop music. It shows us that young people do have soul." Check out "Evolve": http://media.audibletreats.com/Kermit_Quinn-Evolve-By_David_Banner.mp3 . Check out the Gatorade Commerical: http://www.youtube.com/watch?v=nWAjioAfDW0 . My bad y'all! Sorry about the three weeks delay, I blame school! But I can't make excuses here, just hit y'all with the dope music here! The other day I was having an in-depth discussion with a group of people regarding arts and entertainment and one prevailing conclusion that we all came to regarding “the good old days” of anything, whether entertainment related or not, is that reminiscing is almost always done through rose colored glasses. In other words, everything looks better in the rearview mirror. With this in mind I started thinking about the supposed Golden Era, or Golden Age, of hip-hop. 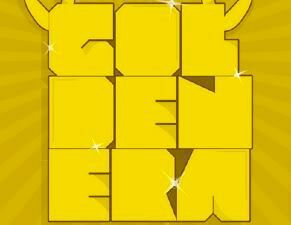 The conclusion I came to is that regardless of what years one has falling under that distinction, The Golden Era, as we consider it now, is more of a myth than a reality. Audio: Mr. Live, Sha Stimuli & More - "Seven Deadly Sins"
Today all-around hip-hop Renaissance man Dub MD drops off the first leak from his upcoming "Requiem EP" project in the form of "Seven Deadly", a Judah produced cut brings together seven of the underground's best emcees, including - drum roll please - Laelo Hood, Sic Osyrus, Dominique Larue, Singapore Kane, Junclassic, Mr. Live and Sha Stimuli. Welcome to RapReviews.com for January 1st, 2019! Subcribe to this channel on YouTube to help support the website. This is the LAST update for the old format of this site - next week we are starting over again all brand new. 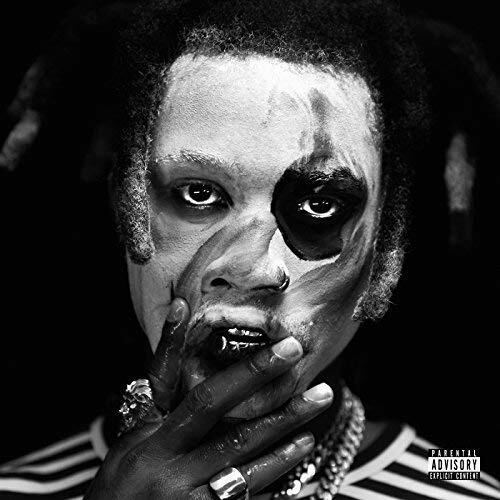 To wrap things up in style our final update for this version of RR features TEN new items: Denzel Curry's "Ta13oo" (our featured review), The Diplomats' "Diplomatic Ties," Masta Ace's "The Falling Season," the "Spider-Man: Into the Spider-Verse" soundtrack, our Year 2018 in Review editorials from Zack Gase, Steve Juon, Sy Shackleford and Patrick Taylor plus two new "Retro Hunting Adventures" with Baby Pac-Man and a store where I'm HOPPING For Trades! You can also shop Amazon through RapReviews and like us on Facebook to support us! Play the best online casino games at toponlinecasinos.ca. Discover the best New Zealand online casinos at nzonlinepokies.co.nz. Be sure to check the RapReviews newsfeed for the latest news and updates. Subscribe to the newsfeed via your browser for the latest news and articles. Get the best Parcel Delivery service here to transport your goods and professional review writing services est. 1998. College students can now devote more time to rapping while an academic writing service 123writings.com works on their college papers. Professional paper writing services! Term paper service provides excellent help writing papers. Do not hesitate to order. In addition this writing service can help you with academic review assignment. RapReviews.com also recommends subscribing to Mistah MegaManFan on YouTube. We appreciate your support and welcome any feedback you have. Thanks for visiting RapReviews.com! !